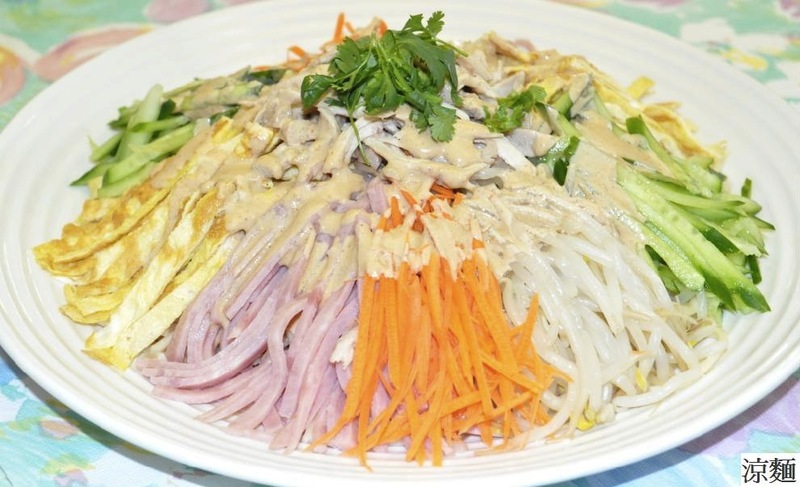 This make-ahead recipe for cold noodles with a la carte toppings is great for parties and impromptu gatherings of friends. Place the sauce ingredients into a blender. Blend the items into a smooth mixture and pour into a serving bowl or container. Cook noodles as directed on the package. Place the cooked noodles in a large serving bowl and add some sesame or olive oil to prevent noodles from sticking together. Let the cooked noodles cool to room temperature. Arrange the topping ingredients on serving plates as desired. 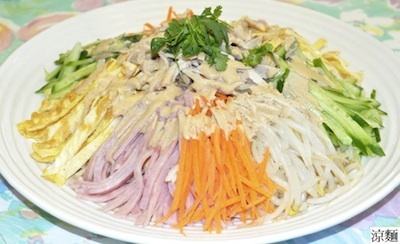 To assemble the spicy cold noodles, place the noodles on a platter first, then place the items you want onto the noodle. The final step: add sauce (about 5 tablespoons per plate) and a dash of chili oil, and the dish is ready to serve. Makes 6- 8 servings.